Let’s continue with our Friday’s Focus Word and discuss a new one for me. Celebrate. I like many entrepreneurs don’t time out to celebrate when I have hit a milestone. We spend so much time working towards goals that we seldom stop when we reach them to truly reflect on the accomplishment. This lack of celebrating can make achieving the goals far less rewarding. I have recently learned this and been working to establish in advance how I will celebrate the goals when I achieve them. Merriam-Webster defines celebrate in several ways. I’ve never thought about celebrating when I reach goals. However, upon reflection I realized that when I worked for others we often celebrated our milestones. It got me thinking, “Why should we no longer get the fun as entrepreneurs?” But somewhere along the way, I guess I thought well if it is basically just me why bother. Now I understand that it is important to do this for myself. So here are the tips on taking time to celebrate my accomplishments that I will be working on in the coming weeks. Decide reward ahead of time – At first, I thought this was silly. Why should I pick out how I am going to reward myself before I even get started? But then I realized that it not only gives me something to look forward to, but it makes sure I have a plan for when I reach the goal. The plan will make celebrating a given about achieving the goal not an afterthought. Do it – I have found myself now taking the time to reward interim steps towards my goals. Especially the ones that are hard or time-consuming. Taking time to pause even briefly to recognize progress makes it that much sweeter. Again, this is the part where you the reader come in. Please take a moment to answer these questions in the comments below or on our FB page. Let’s start a real dialog on these words and how they impact us and how we want them to impact us. 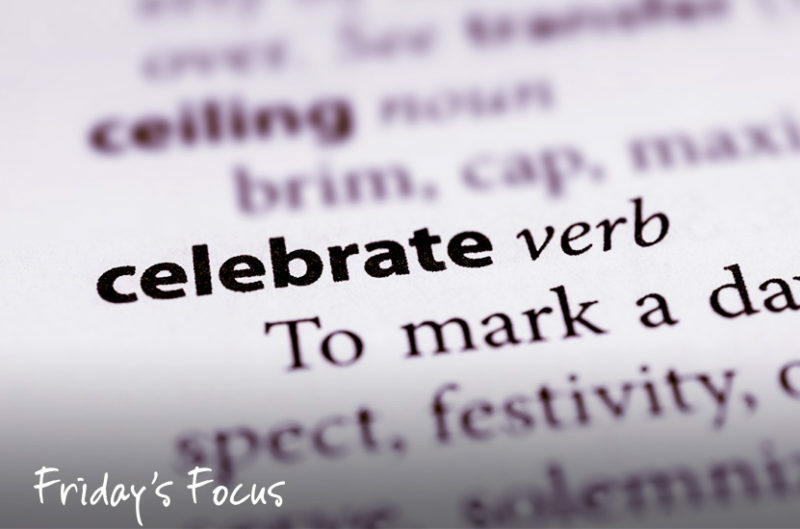 How do you think celebrating could help you? How do you plan to celebrate your achievements?